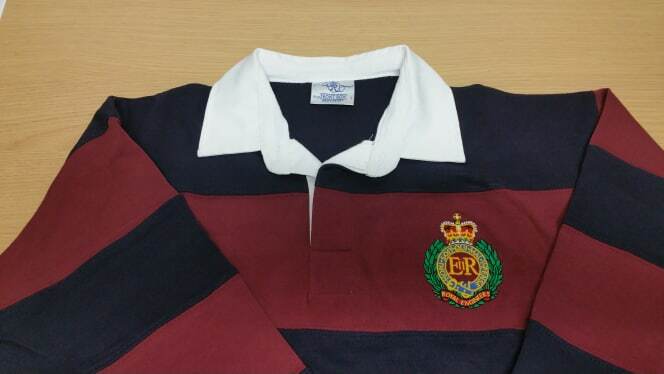 CORPS of ROYAL ENGINEERS ORIGINAL RUGBY SHIRT. 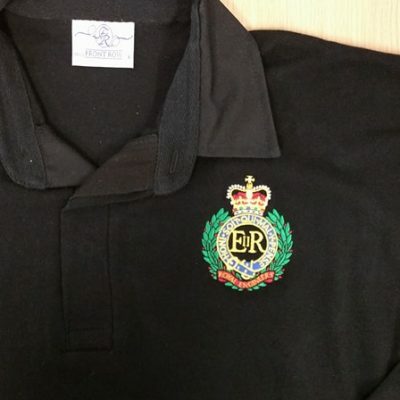 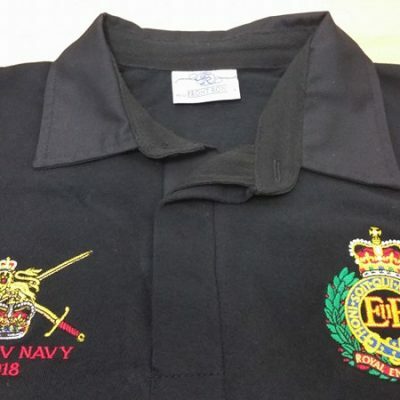 ROYAL ENGINEERS all BLACK or all NAVY RUGBY SHIRTS. 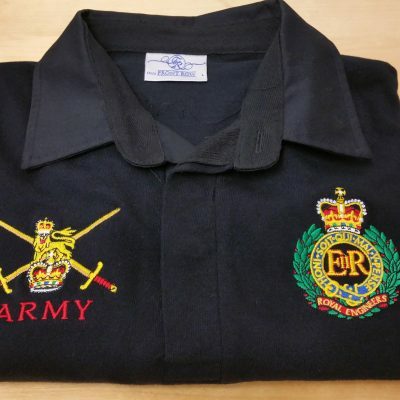 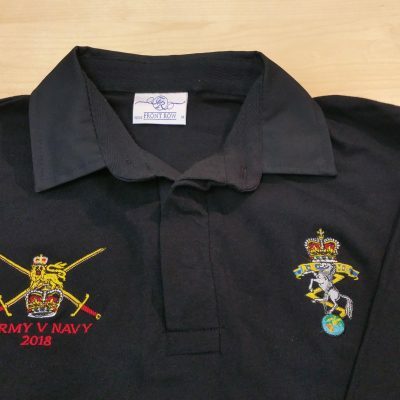 The “DARK DESTROYER” ROYAL ENGINEERS / ARMY ALL BLACK or ALL NAVY RUGBY SHIRTS.